Jeff Kinney’s extremely popular stories about an ordinary and pitiful boy Greg had gained even more fans around the world since the first movie based on the books was filmed in 2010. Following one another, with the last in 2012, 3 comedies appeared on screens. This hilariously comical description of a simple schoolchild life made both, little ones and grown-ups, really wonder when does Diary of a Wimpy Kid: The Long Haul come out if ever. 4 years of looking forward to getting any truthful information about author’s and producers’ intentions were sure to be quite a long waiting. In 2016 the great summer news burnt the internet by giving the audience some hints and release date. Just after the third movie about Greg Heffley came out the main producers mentioned that there wasn’t a plan to create the fourth one, though they didn’t denied the possibility of it either. Jeff Kinney supposed that the next works would better turn into an animated series. In March 2013 an interview with Zachary Gordon took place, when he said pretty surely that there wouldn’t be another live-action film. The biggest undecidable problem with filming the story was aging of the actors. It was a natural process that no one could stop or ignore. Despite all those factors, the books were keeping on being written, the interest of readers and viewers kept on growing. Eventually a new Diary of a Wimpy Kid: The Long Haul 2017 movie release date was announced in the end of July, 2016. The 4th movie plot combines the plots of two books (there are 11 books printed already) – the one with the same title and Old school. In the official filming introduction movie Jeff Kinney said he could hardly wait the whole year to see the forthcoming movie with totally a new cast. The parents of the Heffleys’ family would be portrayed by Tom Everett as a father and Alicia Silverstone as a mother. 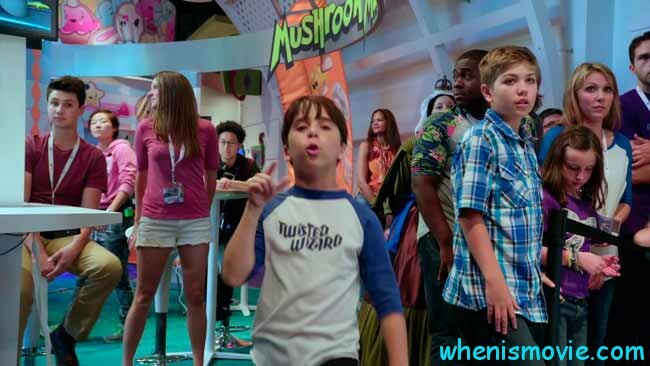 Greg – a wimpy boy – will be portrayed by Jason Drucker, and Greg’s best friend Rowley – by Owen Asztalos. The eldest Heffley’s son Rodrick will be portrayed by Charlie Wright. Cute twins Wyatt and Dylan Walters were chosen to play the role of three year-old Manny. David Bowers again was invited as a movie director. Unlikely the director, current actors haven’t had a chance to take part in any previous parts of Diary of a Wimpy Kid. In one of his Diary of a Wimpy Kid: Long Haul book teasers, the author told about an unexpected character appeared in the plot. It was a pig that would absolutely add some life and action to the entire movie and Greg’s adventures. Keeping it in a crampy minivan and having a trouble with a pig’s health would give even more funny situations to Heffley’s life. The interesting fact is that there are pets in every Diary of a Wimpy Kid movie. What will be Diary of a Wimpy Kid: The Long Haul about? The provocative topic about when is Diary of a Wimpy Kid: The Long Haul coming to theaters is no longer making the fans sleepless. The Wimpy kid admirers will get another portion of excellent sarcastic humor on May, 17, 2017. All the exploits of Greg’s family faced in the trip were the result of Greg’s harmless wish to take part in a big gamer event. Just by chance, it was planned to be spent not far from the place Greg’s grandmother lived. And due to the total luck, all the family was so eager to congratulate her with the great 90th anniversary. For those who have already read all or most of Kinney’s books, a perfect possibility to renew emotions and get more excitement is the movie. Diary of a Wimpy Kid: The Long Haul trailer suggest a fresh sight on the main characters’ look. Still weak but hypocritical Greg continues to perform egoistic and mean behaviour trying to overcome his permanent unsuccessful school and personal troubles. Greg’s elder brother Rodrick appeared to be somewhat insane and mean, on one hand, amazingly musical and caring, on the other. Funny antics are sure to be brothers’ extraordinary talent. A special nutritious diet their mother tried to hold them on during a whole road trip turned on to be a real challenge for Greg. So, when at last boys had that rare chance to sneak out and have a snack, they ate just what they wanted and the way they preferred. How will that trip end world will see in May, 2017. Jeff Kinney’s personal opinion stated that The Long Haul among 4 movies will be the best one.